Puban Project Complete and Online! October 3rd, 2014 by Emily Chicorli | Comments Off on Puban Project Complete and Online! The Puban project in collaboration with Sun Yat-Sen Library, part of the Guangzhou library in Guangdong Province in China, is complete. There are 29 digitized titles each with multiple fascicles. The scanning process primarily involved the use of our ATIZ scanners (a How We Digitize blog post about these scanners is coming soon!). 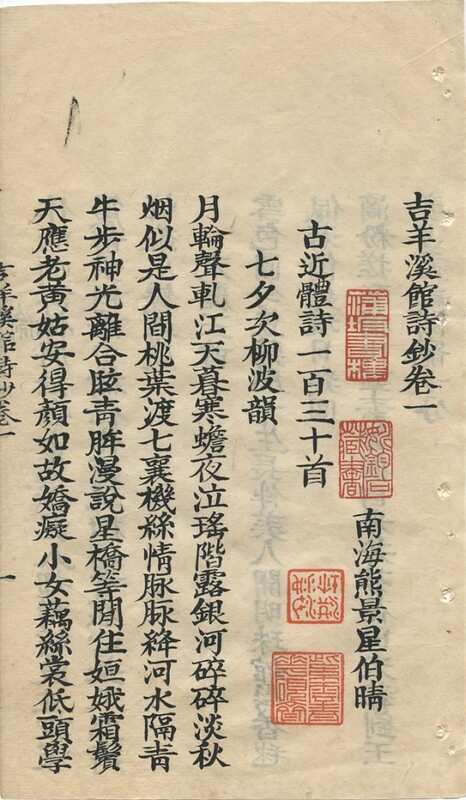 The core of the Puban (蒲坂藏書) was originally a part of the famed Nanzhou Shu Lou (南州書樓), a large private library owned by Xu Shaoqi (徐紹棨) (1879–1948), a professor of Chinese literature and bibliography, curator of the Guangdong Provincial Library and one of the renowned bibliophiles of South China. 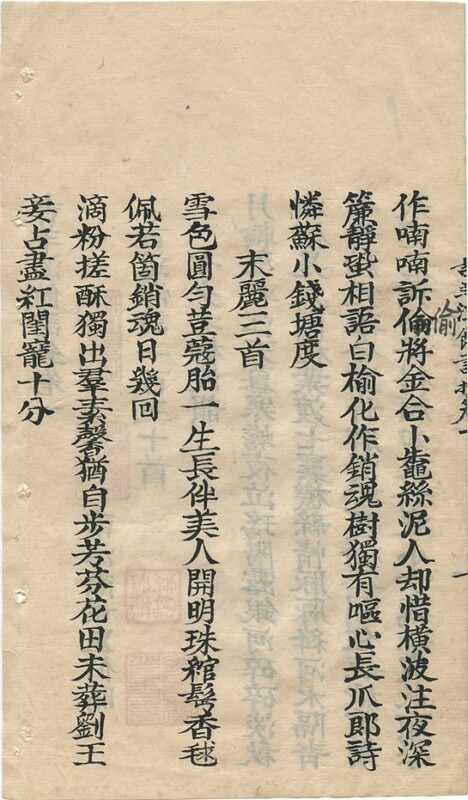 The focus of the Nanzhou was primarily census and historical records, documents and literature of Xu’s native province. Some of these works are unique, original copies drawn from the Nanzhou materials that were transferred from the Mainland to the Yao (姚) Family in Macau during World War II. The new owner, Mr. Yao Junshi (姚鈞石), enlarged the collection with high quality works of a similar nature and gave it its present name, the Puban. Click here to read an earlier post about the Puban project. 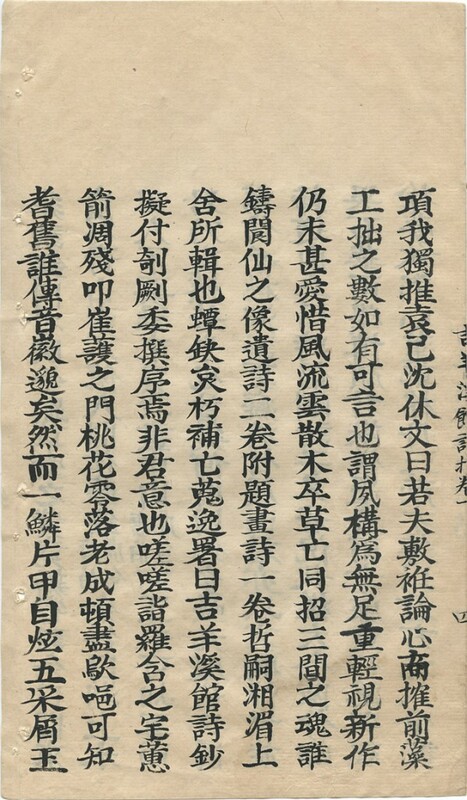 Page 12 (right side) of Ji Yang Xi Guan Shi Chao text in the Puban collection. Posted in China, chinese bibliography, chinese literature, Digitizers' Blog, guangzhou library, nanzhou shu lou, puban | Comments Off on Puban Project Complete and Online!